Welcome to the first ever guest post on Haikugirl’s Japan! I don’t normally invite guest posts, preferring to write everything myself (this is Haikugirl’s Japan, after all, and my intention is for this blog to be about the way I see Japan). But, for the anniversary of the Great East Japan Earthquake and tsunami today I really wanted to feature something directly from Tohoku and, when I came across Steph Marley’s blog Tohoku Pillows, I knew I’d found my author. Today is the 2nd anniversary of The Great East Japan Earthquake and tsunami, or the 2011 Tohoku earthquake and tsunami, which happened on 11th March 2011. The earthquake started at 2.46pm (JST), and triggered a powerful tsunami with waves of up to 40.5 metres. As of this month, the death toll has been recorded by the National Police Agency of Japan as 15,881, with 2,668 people still unaccounted for. I’ve been hoping to get back to Japan and visit the affected area to do some volunteering and research, but haven’t yet been able to. 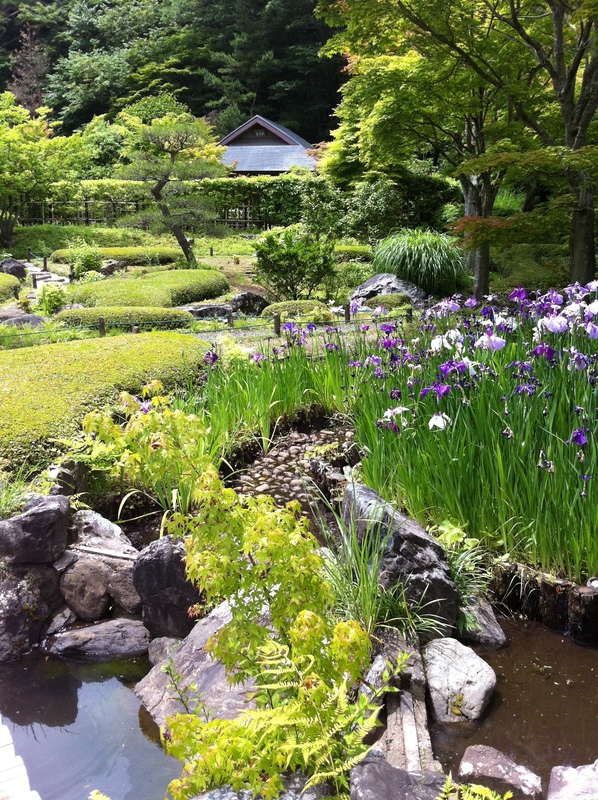 So, in lieu of my own report from Tohoku, here’s a guest post from Steph Marley. 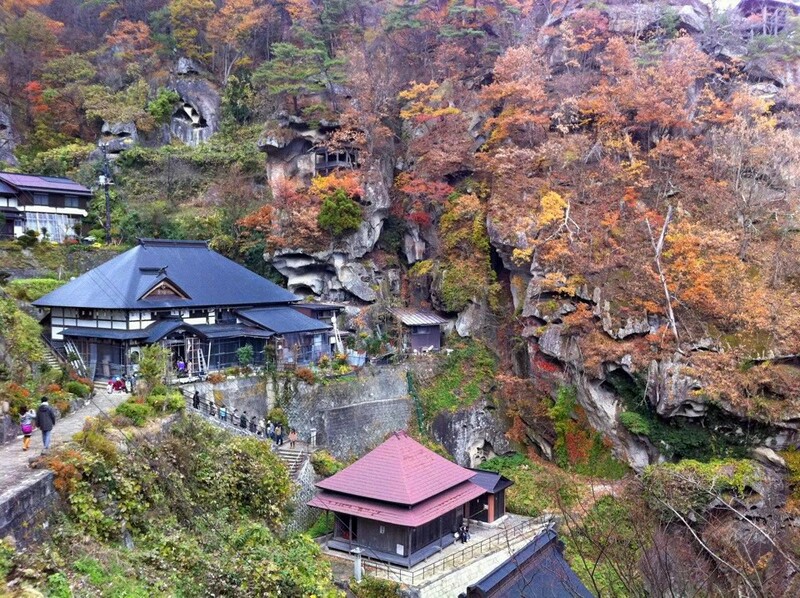 Thank you, Steph, for submitting this wonderful article and sharing your Japan with us! What used to be the town of Natori, just south of Sendai Airport, north-east coast. This photograph was taken in April 2012, just after the first anniversary near the mouth of the Natorigawa (Natori River) which carried the tsunami so far inland. Today, I’m teaching the third-year students body parts at the largest of my six primary schools in Koriyama City, Fukushima Prefecture. There are four classes in this grade, but today I may not be seeing each class: every one of the school’s 693 students is leaving throughout the day to attend a thyroid scan, which will determine whether or not they have any signs of cancer in the throat. Every primary and secondary school student in Koriyama is eligible for this Full Body Counter scan. Over the next few weeks, I expect to encounter the same schedule changes at each of my schools. Hello, I’m Steph. I’m from Reading, Berkshire, just west of London. I moved to Fukushima in July 2011 to teach English as part of the JET Programme (Japan Exchange Teaching Programme), and was appointed a full-time primary school position. As I have only lived in post 3.11.2011 Tohoku (north-east Honshu, mainland Japan), I cannot say how life here differs from what it was like before the earthquake. How Japan is now, is how I’ve always known Japan. Teachers get on with their lessons, and students get on with being children: they have fights in the snow regardless of its radioactive properties; they consume the milk, rice and vegetables given to them for lunch every day without worrying about where they’re from; they are, for the most part, quite happy. Those worries belong to teachers and parents, not primary school children. Even so, though nearly two years have passed since the natural phenomenon which pulled areas and families in Tohoku apart, there are times when the daily lives of my colleagues, pupils, and fellow citizens of Koriyama are evidently strained. Every day, every child in the city dons a radiation monitor around their neck. They have been doing so since before I arrived, over a year and a half ago. These monitors are sent off twice a year (to where, I’ve no idea) so that the amount of radiation each child is exposed to on a day-to-day basis can be measured. Until every school in the city had a solar-powered monitor installed, the levels of the school grounds were monitored by Kyoto Sensei (Vice-Principal) each morning by hand for nine months after the quake. Now, their red-lit numbers shine through our staff room windows. The numbers increase in the rain and snow, and considerably decrease with good weather. The same monitors greet strollers in city parks. The readings which are on display in localized ‘hotspots’ (which are areas in which radiation heavily centralises) inject a stab of fear in the people who pass by. On the odd day during our consumption of primary schools’ mandatory cooked lunches, someone will suddenly announce from the staff room that the levels in the food are excessive, and until it is all rechecked, the food is not to be eaten. 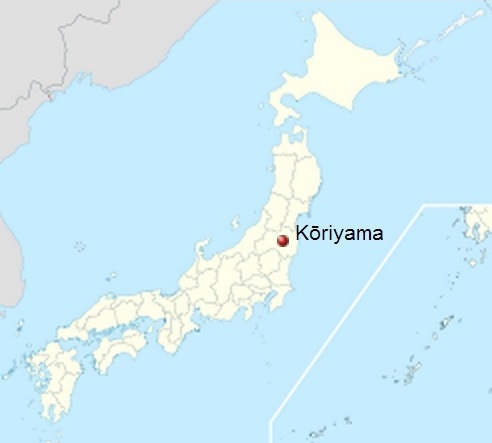 Koriyama is very lucky in one respect: her distance from the east coast. Too far inland, she was not directly affected by the 38.9 metre tsunami which swept through the coasts of Miyagi, Fukushima and Iwate prefectures in 2011. Although the earthquake itself (measuring 9.03 on the Richter scale, and 7 on the Japanese) caused considerable damage within Koriyama, buildings can always be rebuilt (and if there’s a single country which knows how to handle this task, it’s certainly Japan). In the initial panicky evacuation which followed Fukushima Daichii Plant’s explosion – when people such as farmers, with lost livelihoods, had to uproot their homes – the number of citizens who remained in the city may have decreased, but we gained quite a few people, too. The school I’m teaching at today has taken in many students who moved here from the 20km-radius exclusion zone – the coastal area between Hisanohama and Minami-soma – out of which 246,106 people had to leave their homes. Five minutes from the school is a large temporary housing complex, where our additional students have been living with their families for the past eighteen months. This housing complex is one of many scattered throughout Tohoku. It consists of caravan-like terrapin buildings which house families, their children, pets, and transportable life possessions. More so than at the other five schools in which I teach, the students here are evidently affected by what changes in their lives the earthquake has brought about. The behaviour of some of my sixth year students would oppose the common foreign assumptions as to how Japanese students behave; during class, a few of my younger pupils sometimes experience what appear to be short, sharp moments of incredible stress or upset from seemingly subtle or small provocations. 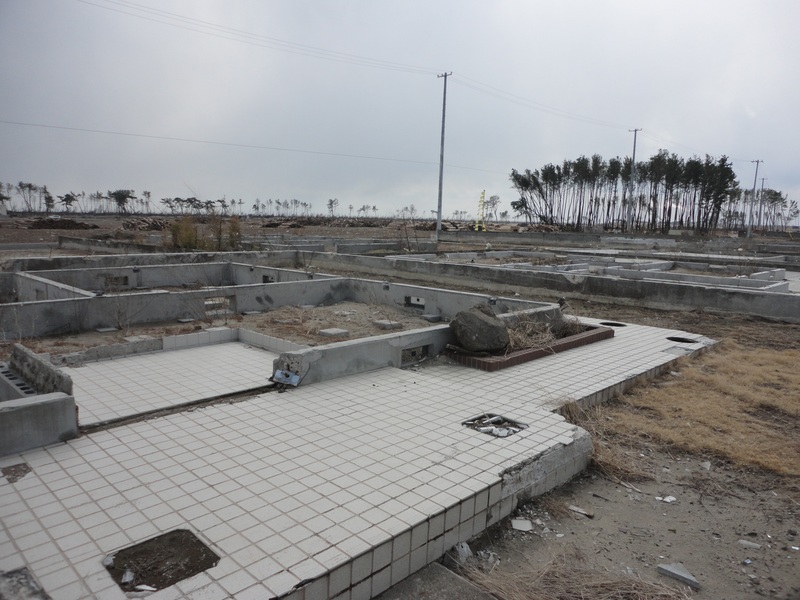 Although there was talk last year of a government-established temporary town in Fukushima for evacuees with its own schools and shops, the progress of this development is yet to be seen. However, even with all of this – and the shared uneasiness expressed by everyone during school-time earthquakes (over 800 aftershocks at magnitude 4.5 or above have hit us since 3.11) – I get the impression that life in Koriyama at least has returned to relative normality. Now, I have to say that the last thing I want to do in this article is to paint a terse, dramatic picture of post-disaster Fukushima. Media manages that on its own and, quite the contrary, I wish to show you the beauty of my home. I wish to show you the Fukushima which existed before she achieved such soaring fame for misfortune, because that Fukushima still exists now. To deny that people here have significant worries or that no further help is needed, however, wouldn’t be true. There is still beauty, and there is still sadness. This is what it means to live in eastern Tohoku in the early, wintry approach to 3.11’s second anniversary. Yes, this anniversary will certainly be a solemn affair. 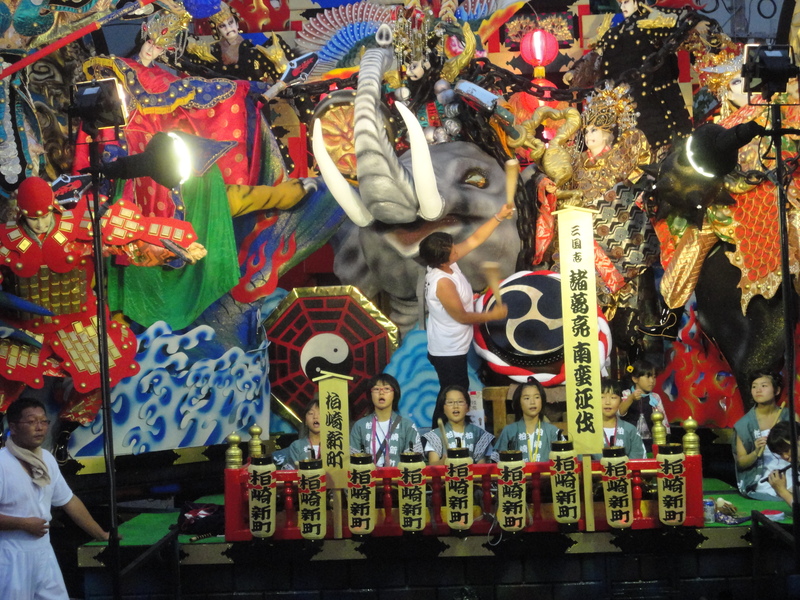 However, people in Fukushima continue to celebrate the passing of time in traditional ways, too. In a village an hour or so from Koriyama, local male citizens welcomed 2013 in a fantastic way. Last year, myself and a few pals drove up to the village of Yan-aizu, a town famous for its yellow manju, the famous artist Saito Kiyoshi, and its yearly Naked Man Festival which is celebrated on the 5th of January. To win good luck for the new year, men participating in the Naked Man Festival of Yan-aizu strip down to a fundoshi, drink a lot of sake, and in the winter night run barefoot from the village to a large Buddhist temple which sits atop of a snowy-banked hill. Within it awaits a large crowd of family members who hope to share in the fortune, locals, and out-of-town visitors anticipating an eye-full. They wait at the foot of a large woven rope which hangs from the rafters to the floor. 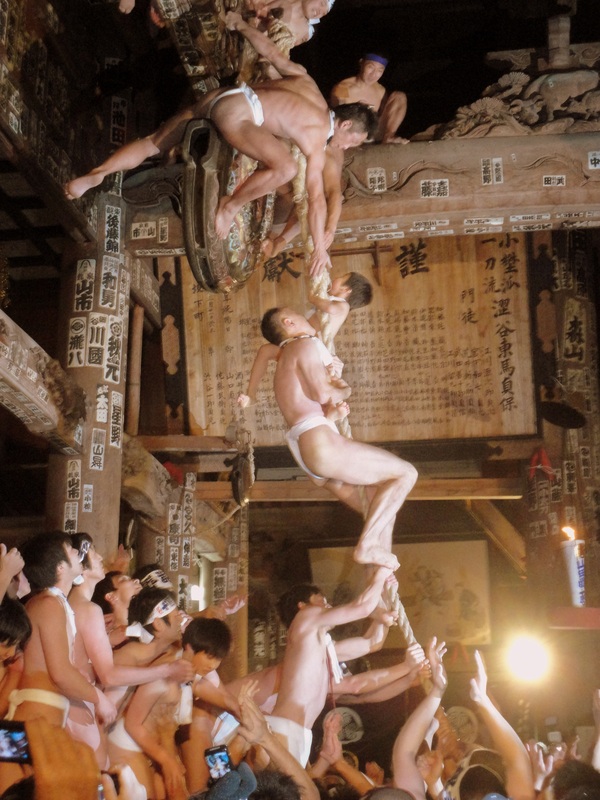 After the drunk, limb-locked men throw open the temple doors and race to the rope, they scramble to climb it as soon as they can manage: whoever reaches the second story – rope-burned and fundoshi flying – will obtain their new years good fortune. Although such northern Japanese towns as Yan-aizu – and most of the richly cultured towns in Tohoku, whether they’re big or small – do not fill the pages of tourist guidebooks, they are places in which the lifestyles of pre-westernised Japan are perhaps most easily found: where there are less skyscrapers to peer behind to find breathing traditions and celebrations being practised. Where Kansai and Kanto express the high culture of Old Japan, Tohoku expresses her affinity with nature, and offers people the escape sometimes sought from that southern, crowded grandeur. As evidenced by literary records over a millennia old, Tohoku has been offering this service for some time. Buddhist monks hoping to escape the civil wars of courtly conflicts and city-wide fires sparked from natural phenomenons, found refuge in Tohoku’s vast and lonely soaring landscape, and here contemplated (and composed fantastic poetry on) the transience of life. Consequentially, Tohoku’s mountains, marshes, rivers and moors – their seasonal cycles of renewal and death – appear in many ancient, classic and medieval poems, and have been host to innumerable prolific wanderers, poets, and priests over centuries of composition: Matsuo Basho based his great Oku no Hosomichi on his poetic pilgrimage through Tohoku. 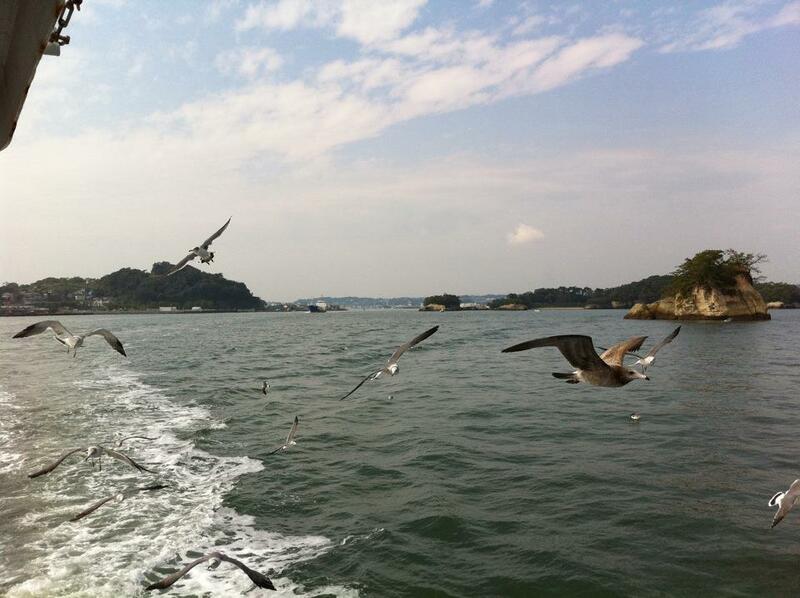 And in its own right, the land of Tohoku itself – Dewa Sanzan and Zao Onsen in Yamagata Prefecture; one of the country’s Three Scenic Sites, Matsushima Bay in Miyagi Prefecture; Fukushima’s Lake Inawashiro, Five Coloured Lakes and Bandai Asahi National Park– can pull from the visitor a wonder as strong and full as that inspired from the magnificent man-made. Because a lot of the east coast landscape has become so violently altered since 2011’s tsunami, these aged, insightful poems which teach us about the awe of transient life reveal their truth, as emotion saturates Tohoku’s new inland sea-beds and horizons of cluttered brick. What is post 3.11.2011 Tohoku like? It is how Japan has always been: disaster comes, and it is faced. Again, disaster will come, and again it will be faced. Tohoku is humbling, and she is still struggling. Full of people who increasingly distrust a too-quiet, too-slow, ever-changing government to help them through their plight, Tohoku continues to receive and warmly welcome any visitor who can note the beauty as well as the sadness, the offered assistance from brilliant projects like Photohoku, which aim to rebuild family life as well as towns. If you are thinking of visiting Japan, or indeed, hope to return, please consider a visit to the great north-east. Not only can you witness myriad nationally prized cultural assets, phenomenal landscapes and taste unique, fantastic cuisine, but Tohoku will surely be the place in Japan most touched by your presence. For those of you who may be interested, there are open opportunities to join such voluntary relief services as It’s Not Just Mud, which feed, house and support you (in English) as you clean up the coast, encourage small local businesses to restart, or simply donate to the cause. Or you can walk the streets of our winding castle towns and grand samurai residences, and let people here feel secure that Tohoku is not forgotten. A great first guest post indeed! I’m still in Japan and of course I was here when the big one hit as well. I still remember that time as if it happened yesterday. I doubt I’ll ever be able to forget. I’ve been to Tohoku before and after the earthquake hit. My last big trip to Tohoku including all prefectures but Fukushima was in May 2012. I was shocked to see how much some cities still struggled (e.g. Ishinomaki). 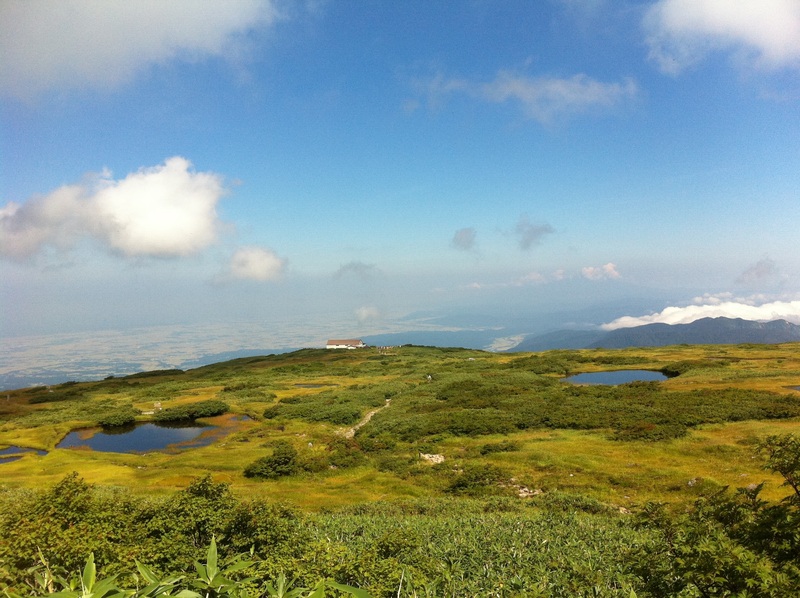 I agree that people should not be afraid and VISIT the great Tohoku area!